Tiger Woods will be teeing it up this week in Los Angeles — and next week, too, in Mexico City. He announced in his pre-tournament press conference Wednesday that he will be playing two weeks in a row, following the Genesis Open with a trip to WGC-Mexico Championship. While players still have until Friday to commit or withdraw from next week's event, 47 of the world's top 50 are currently signed up (Justin Rose, Jason Day and Adam Scott being the exceptions). "Yeah, I'm playing next week," Woods said. "Beyond that, I haven't really decided on what I'm going to be doing. I made the decision yesterday to add Mexico to my schedule and obviously the Florida swing gets very complicated. And so I'm leaving that open-ended right now to try to figure that out." Beyond Mexico, Woods's schedule becomes somewhat murky. The Honda Classic comes the following week (Feb. 28-March 3) in his backyard in Palm Beach Gardens, Fla., while he has traditionally played the week after that at the Arnold Palmer Invitational (March 7-10) and certainly will attend the Players Championship (March 14-17) the following week. Woods hasn't played WGC-Mexico since the event moved to Mexico City from Trump National Doral in 2017. Woods has technically won the event seven times, most recently in 2013. He spoke of adjusting to the nuances of playing Club de Golf Chapultepec, which is at significant elevation. He added a 3-wood to the bag and has been working on adding elevation to his game, citing lower spin that comes from playing at higher altitude. "I'm trying to get that ball up for this week, trying to get that ball high," he said. "If I was going to play Mexico, it was going to be two weeks of trying to get that ball up." Woods tees off at 3:22 p.m. ET on Thursday at the Genesis Open alongside Justin Thomas and Rory McIlroy on the first tee at Riviera Country Club. 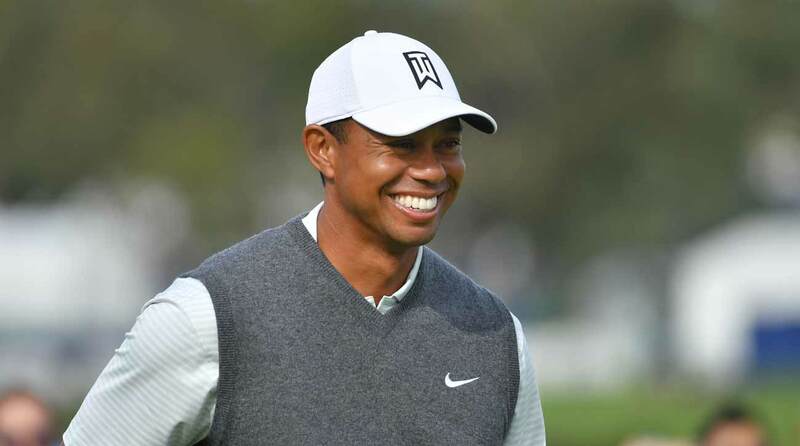 Tiger Woods won the event seven times before the move to Mexico.